It is not difficult to be inspired by the geography of Del Norte County. As remarkable as the campgrounds hosted by its southern neighbor Humboldt County, Del Norte nurtures excellent camping experiences at the profusely-forested edge of California. Explore options that take you anywhere from a few miles outside of Crescent City — the county's only incorporated city — to the distant banks of Six Rivers National Forest. Mill Creek Campground is a perfect introduction to camping in northern California's Redwood Empire. The campground, complete with 145 sites and amazing amenities like hot showers, is breathtakingly remote, even though it's only 7 miles south of Crescent City. Fall asleep under some of the tallest trees in the world, then have a full day to explore the 8-mile long coastline of Del Norte Coast Redwoods State Park. The campground is only open during the summer, but make sure visit this State Park year-round and hike the stunning Damnation Creek Trail. Visit here for more information. A chance to camp in an old-growth redwoods park along the last major free-flowing river in California? Count us in! Jedediah Smith Campground offers 87 family sites, all anchored in a bend of the Smith River. Amenities include hot showers, ADA accessible restrooms and cabins, and more. And did we mention the hiking in this astounding State Park? You'll have over 20 miles of hiking trails to choose from, including the blindingly verdant Simpson-Reed Trail. Visit here for more information. 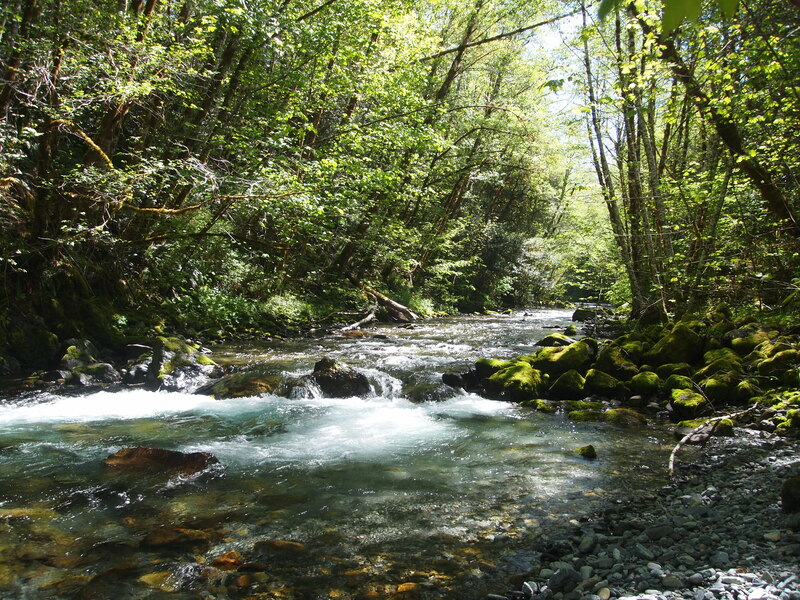 The largest and most popular campground in the Smith River National Recreation Area (according to the USDA Forest Service), Panther Flat is a year-round destination for those interested in the Smith River's healthy stock of salmon, steelhead and cutthroat trout. While fishing and Class 5 whitewater rafting are big highlights of this 28-site campground, visitors can also seek out nearby trails, including a botanical trail one-mile outside the grounds that features the Darlingtonia, a carnivorous plant. Whatever you choose, a delightful forest of Pacific madrone, cedar, and Douglas fir will be your companion throughout your stay. Visit here for more information. Roughly 26 miles from the closest town, Big Flat Campground is as remote as you can get in this northwestern corner of California. 23 grassy campsites are established on the banks of Hurdygurdy Creek in Six Rivers National Forest, surrounded by shady lodge pole pines. Big Flat is only open during the summer, so prepare your trip to this isolated haven now before you forget! Visit here for more information. A truly underrated county park located just three miles north of Crescent City, Florence Keller has been touted for its peaceful, redwood-drenched campground and enchanting creek. The park offers 50 campsites, seven walking trails (one that is wheelchair accessible), playground and large picnic area with horsehoe pits. Plus, you're only a few miles away from some of the most secluded beaches in the state. Visit here for more information.